It was a proud moment for the Karnataka High Court as two of its judges were elevated to the Supreme Court. BENGALURU:It was a proud moment for the Karnataka High Court as two of its judges were elevated to the Supreme Court. In a rare instance, one of the judges has been elevated even before becoming the chief justice of a high court. 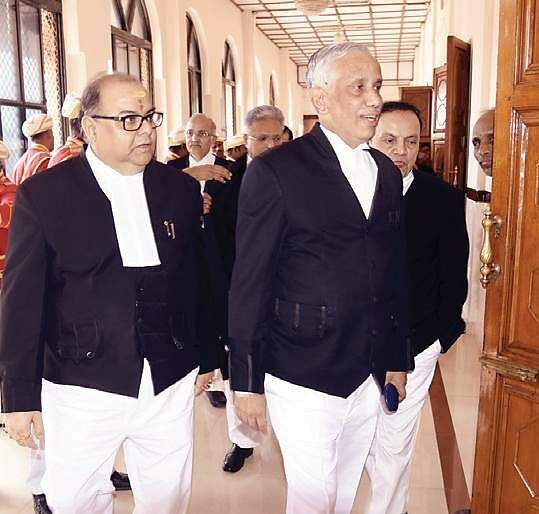 The elevated judges are Justice S Abdul Nazeer from the Karnataka High Court and Justice Mohan M Shantanagoudar, who was recently transferred from Karnataka High Court as chief justice of Kerala High Court. They will be sworn in as judges of the Supreme Court on Friday. Both the Judges will have a six-year tenure in the apex court. Justice Nazeer is perhaps the third judge elevated directly to apex court before becoming the chief justice of a high court. Earlier, Justice S Rajendra Babu, former Chief Justice of India and Justice N Venkatachala, former Lokayukta were elevated directly as judges of the Supreme Court from the Karnataka High Court. A warm farewell was given to Justice Nazeer by both the Bar and bench on Thursday. His elevation was described as a proud moment for the Karnataka High Court by those who were on the dais as well as those who were in attendance.